The Sutton Coldfield Train Crash occurred on Sunday 23rd January 1955, when an express passenger train travelling from York to Bristol derailed due to excessive speed on a sharp curve. The train was headed by LMS Class 5 4-6-0 steam locomotive No 45274, consisting of ten carriages, with about 300 passengers, when it came off the rails and crashed into Sutton Station, killing seventeen and injuring 25 passengers. A plaque commemorating the victims was unveiled at the station last year. When the wreckage was cleared it was decided to demolish what remained of the damaged station building on platform one and the whole of the canopy which originally sheltered both platform one and the extra platform used by the motorail service in the 1960s (platform 1a). 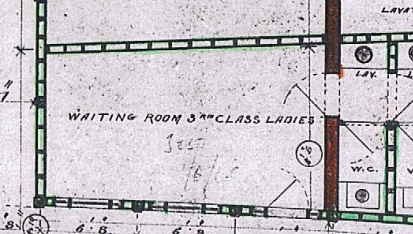 The buildings demolished were waiting rooms and toilets - the main building originally contained four waiting rooms: General, Gentlemen’s first class, Ladies first class, and Ladies third class, very generous provision if it was only for anyone waiting for the next Lichfield train. The station was built in 1884 by the London and North-Western Railway Company as part of its Lichfield Extension Railway, which could not make use of the old terminus station of the Sutton Coldfield Branch (opened in 1862). The Company knew from twenty-two years of operating the Sutton Branch line that they could profitably run many special excursion trains from Birmingham to Sutton in the holiday season, Sutton Park and the Crystal Palace being popular places of resort for the urban population. It was probably with the crowds of trippers waiting for their return trains in mind that the waiting rooms were planned. Excursion trains would arrive and depart from platform 1a, which had previously been the main platform of the old terminus station. This first station was built in 1862 with waiting rooms and a booking hall facing Station Street (which then extended several yards longer across the present station). It was soon found worthwhile to add refreshment rooms to the facilities, no doubt because of the number of visitors arriving here. Miss Holbeche noted that on the Sunday after the railway opened over 2,000 trippers came by rail to Sutton Park, “the sight at night when flocking to return such as never before had been or could have been supposed to be seen in this our hitherto quiet locality”. It was prudent, and no doubt profitable, for the Railway Company to provide adequate facilities for such crowds. Sutton Park was still a popular place of resort in 1955, but most visitors came by cheaper forms of transport than the railway, and a small utilitarian waiting room on platform 1 was deemed sufficient. 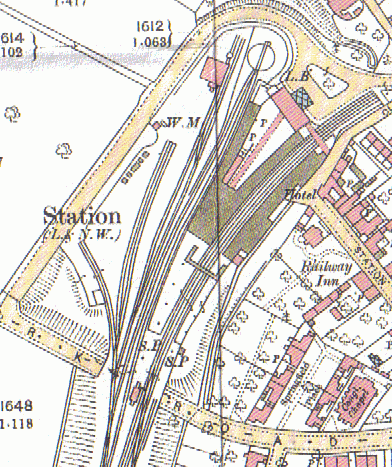 Detail of the first edition OS map surveyed in 1886, showing the extent of the canopies (shaded) at Sutton Station. 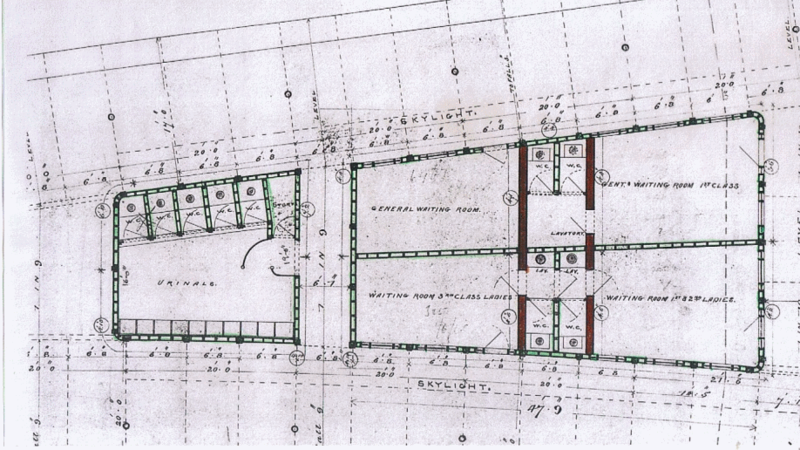 Original plans of the waiting rooms on platform one.